1 A None No Power Seat 1 A is a standard Economy Class seat that has extra legroom, however, the proximity to the lavatory and galleys may be bothersome. There is no floor storage during take-off and landing. The tray table is in the armrest, making the armrest immovable and slightly reducing seat width. 1 B None No Power Seat 1 B is a standard Economy Class seat that has extra legroom, however, the proximity to the lavatory and galleys may be bothersome. There is no floor storage during take-off and landing. The tray table is in the armrest, making the armrest immovable and slightly reducing seat width. 1 C None No Power Seat 1 C is a standard Economy Class seat that has extra legroom, however, the proximity to the lavatory and galleys may be bothersome. There is no floor storage during take-off and landing. The tray table is in the armrest, making the armrest immovable and slightly reducing seat width. 15 A None No Power Seat 15 A is a standard Economy Class seat. This seat has limited recline due to the Exit Row behind. 15 B None No Power Seat 15 B is a standard Economy Class seat. This seat has limited recline due to the Exit Row behind. 15 C None No Power Seat 15 C is a standard Economy Class seat. This seat has limited recline due to the Exit Row behind. 15 D None No Power Seat 15 D is a standard Economy Class seat. This seat has limited recline due to the Exit Row behind. 15 E None No Power Seat 15 E is a standard Economy Class seat. This seat has limited recline due to the Exit Row behind. 15 F None No Power Seat 15 F is a standard Economy Class seat. This seat has limited recline due to the Exit Row behind. 16 A None No Power Seat 16 A is a standard Economy Class seat that has extra legroom due to the Exit Row, however, this seat may have limited to no recline. There is no floor storage for this seat during takeoff and landing. The tray table is in the armrest, making the armrest immovable and slightly reducing seat width. This seat can be purchased for extra legroom. 16 B None No Power Seat 16 B is a standard Economy Class seat that has extra legroom due to the Exit Row, however, this seat may have limited to no recline. There is no floor storage for this seat during takeoff and landing. The tray table is in the armrest, making the armrest immovable and slightly reducing seat width. This seat can be purchased for extra legroom. 16 C None No Power Seat 16 C is a standard Economy Class seat that has extra legroom due to the Exit Row, however, this seat may have limited to no recline. There is no floor storage for this seat during takeoff and landing. The tray table is in the armrest, making the armrest immovable and slightly reducing seat width. This seat can be purchased for extra legroom. 16 D None No Power Seat 16 D is a standard Economy Class seat that has extra legroom due to the Exit Row, however, this seat may have limited to no recline. There is no floor storage for this seat during takeoff and landing. The tray table is in the armrest, making the armrest immovable and slightly reducing seat width. This seat can be purchased for extra legroom. 16 E None No Power Seat 16 E is a standard Economy Class seat that has extra legroom due to the Exit Row, however, this seat may have limited to no recline. There is no floor storage for this seat during takeoff and landing. The tray table is in the armrest, making the armrest immovable and slightly reducing seat width. This seat can be purchased for extra legroom. 16 F None No Power Seat 16 F is a standard Economy Class seat that has extra legroom due to the Exit Row, however, this seat may have limited to no recline. There is no floor storage for this seat during takeoff and landing. The tray table is in the armrest, making the armrest immovable and slightly reducing seat width. This seat can be purchased for extra legroom. 17 A None No Power Seat 17 A is a standard Economy Class seat that has extra legroom due to the Exit Row. There is no floor storage for this seat during takeoff and landing. The tray table is in the armrest, making the armrest immovable and slightly reducing seat width. This seat can be purchased for extra legroom. 17 B None No Power Seat 17 B is a standard Economy Class seat that has extra legroom due to the Exit Row. There is no floor storage for this seat during takeoff and landing. The tray table is in the armrest, making the armrest immovable and slightly reducing seat width. This seat can be purchased for extra legroom. 17 C None No Power Seat 17 C is a standard Economy Class seat that has extra legroom due to the Exit Row. There is no floor storage for this seat during takeoff and landing. The tray table is in the armrest, making the armrest immovable and slightly reducing seat width. This seat can be purchased for extra legroom. 17 D None No Power Seat 17 D is a standard Economy Class seat that has extra legroom due to the Exit Row. There is no floor storage for this seat during takeoff and landing. The tray table is in the armrest, making the armrest immovable and slightly reducing seat width. This seat can be purchased for extra legroom. 17 E None No Power Seat 17 E is a standard Economy Class seat that has extra legroom due to the Exit Row. There is no floor storage for this seat during takeoff and landing. The tray table is in the armrest, making the armrest immovable and slightly reducing seat width. This seat can be purchased for extra legroom. 17 F None No Power Seat 17 F is a standard Economy Class seat that has extra legroom due to the Exit Row. There is no floor storage for this seat during takeoff and landing. The tray table is in the armrest, making the armrest immovable and slightly reducing seat width. This seat can be purchased for extra legroom. 2 D None No Power Seat 2 D is a standard Economy Class seat that has extra legroom due to the position of the bulkhead. The proximity to the lavatory and galleys may be bothersome. There is no floor storage for this seat during takeoff and landing. The tray table is in the armrest, making the armrest immovable and slightly reducing seat width. 2 E None No Power Seat 2 E is a standard Economy Class seat that has extra legroom due to the position of the bulkhead. The proximity to the lavatory and galleys may be bothersome. There is no floor storage for this seat during takeoff and landing. The tray table is in the armrest, making the armrest immovable and slightly reducing seat width. 2 F None No Power Seat 2 F is a standard Economy Class seat that has extra legroom due to the position of the bulkhead. The proximity to the lavatory and galleys may be bothersome. There is no floor storage for this seat during takeoff and landing. The tray table is in the armrest, making the armrest immovable and slightly reducing seat width. 32 C None No Power Seat 32 C is a standard Economy Class seat. The proximity to the lavatories behind may be bothersome. 32 D None No Power Seat 32 D is a standard Economy Class seat. The proximity to the lavatories behind may be bothersome. 33 A None No Power Seat 33 A is a standard Economy Class seat in the last row of the plane that may have limited recline. The proximity to the lavatories behind may be bothersome. 33 B None No Power Seat 33 B is a standard Economy Class seat in the last row of the plane that may have limited recline. The proximity to the lavatories behind may be bothersome. 33 C None No Power Seat 33 C is a standard Economy Class seat in the last row of the plane that may have limited recline. The proximity to the lavatories behind may be bothersome. 33 D None No Power Seat 33 D is a standard Economy Class seat in the last row of the plane that may have limited recline. The proximity to the lavatories behind may be bothersome. 33 E None No Power Seat 33 E is a standard Economy Class seat in the last row of the plane that may have limited recline. The proximity to the lavatories behind may be bothersome. 33 F None No Power Seat 33 F is a standard Economy Class seat in the last row of the plane that may have limited recline. The proximity to the lavatories behind may be bothersome. The Jet2 Boeing 737-800 has a 3x3 seating configuration. There are 189 seats on this aircraft, all of which, are Economy Class. This aircraft is equipped with Acro seats fitted to provide more space and comfort for passengers. Love the back seats, it's near the loos, near the back doors, nobody can kick your seat. What more can you ask for? Standard leg room seat with a good window view, although not recommended as the overhead compartment was already full with company items and therefore little space for passengers luggage. Legroom is great on Jet2.com Boeing 737-800. This was a standard seat. Their songs are brilliant kn board love them. They also give you a £60 off your next Jet2holidays booking which is very nice. 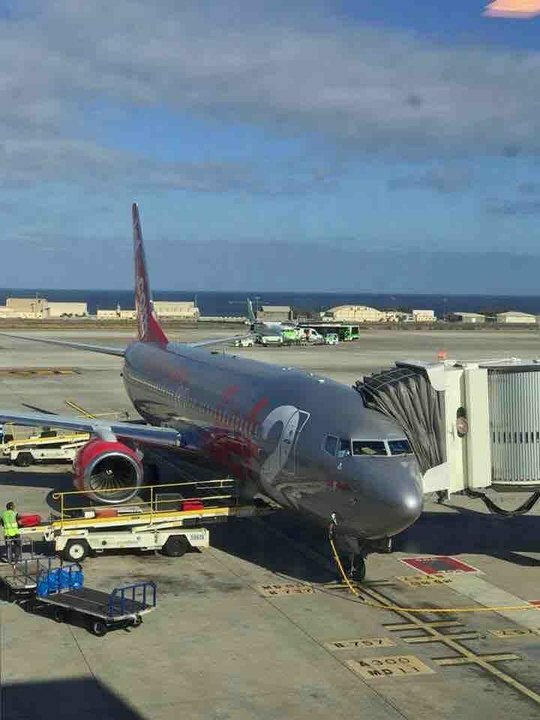 Love Jet2 recommend them. 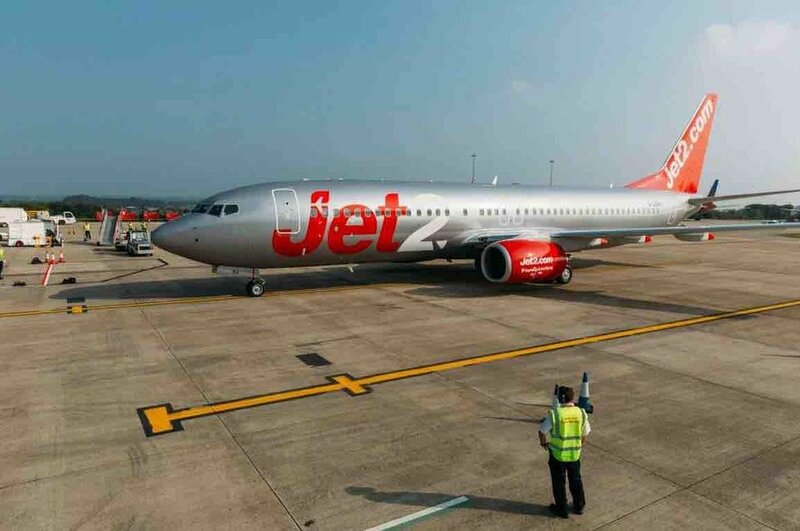 Jet2 flies 1 versions of Boeing 737.